“Not what we wanted to hear,” wrote Peter Boockvar, the chief investment officer at Bleakley Advisory Group, in a note to clients following Trump’s comments. Follow the stock market’s moves in real-time. Stocks in the US fell to session lows Wednesday after President Donald Trump told reporters that he was “talking” about leaving tariffs on China for a prolonged period of time. In response to reporters’ questions shouted as the president was set to leave the White House for an event in Ohio, Trump announced that the US would leave tariffs on Chinese goods in place even if a trade deal was to be reached. “We’re not talking about removing them, we’re talking about leaving them for a substantial period of time because we have to make sure that if we do the deal with China that China lives by the deal,” Trump said. The Dow Jones industrial average, S&P 500, and Nasdaq Composite all fell nearly 1% before moving just off session lows around 1 p.m. ET. Trump officials taking part in the negotiations with Beijing have been pushing for a mechanism that would allow the US to reimpose trade restrictions on the Chinese in the event that a trade deal, which is not yet finalized, is violated. 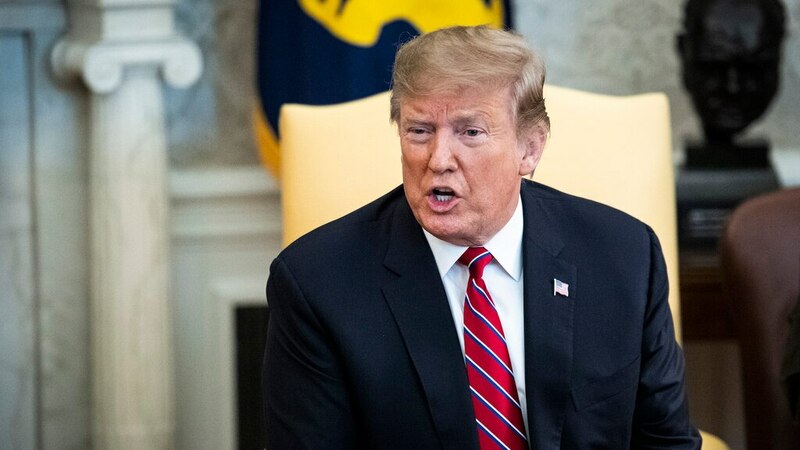 “Not what we wanted to hear,” said Peter Boockvar, the chief investment officer at Bleakley Advisory Group, in a note to clients referring to Trump’s comments. The US and China have been engaged in a trade war for roughly a year. The US has imposed tariffs on $250 billion worth of Chinese goods, while China has slapped $110 billion worth of US goods with new tariffs. The back-and-forth tariff conflict has caused economic damage for both economies and emerged as one of investors’ largest concerns.